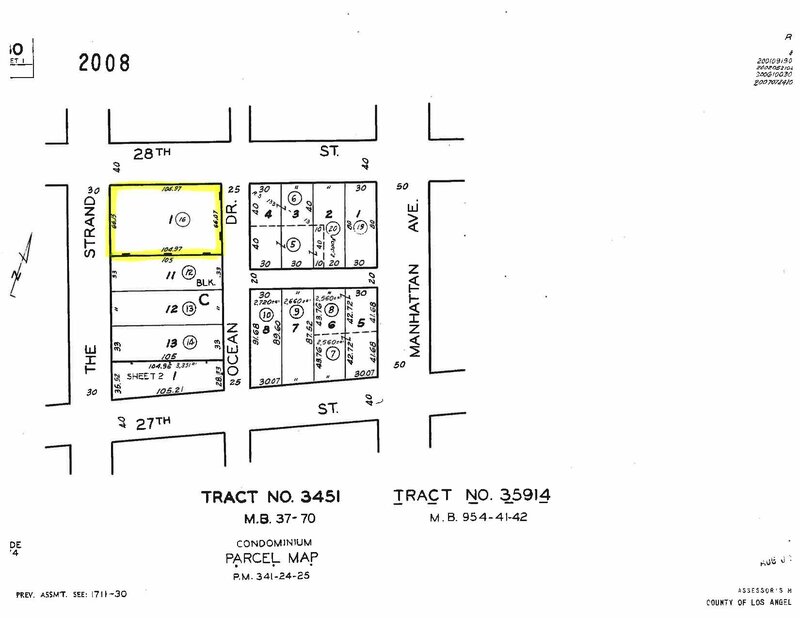 The property known as 2722 The Strand is a once-in-a-lifetime opportunity for a new owner to build, divide, expand, or restore. 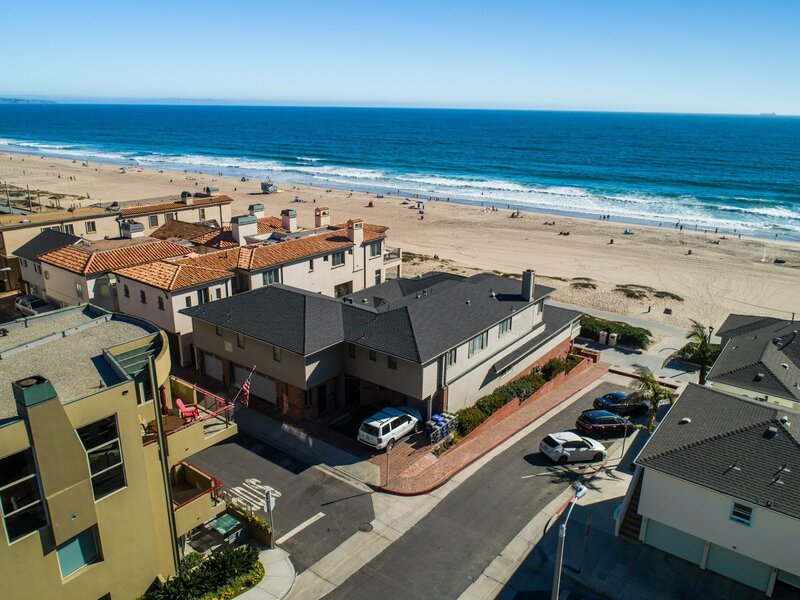 At 6,967 square-feet, it is one of the largest oceanfront double lots in highly-desirable and world-famous Manhattan Beach. 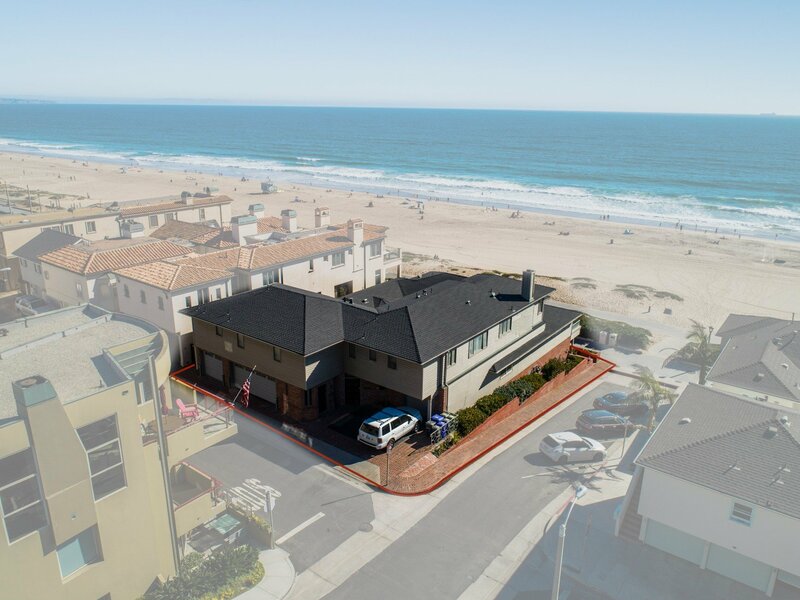 A double lot is so rare a commodity, that the City says there are only 8 other double lots in all of Manhattan Beach’s Sand Section (and only one triple lot and two one-and-a-half lots). This double lot is also sited on a corner, making its prospects brighter (literally) and its possibilities more infinite. 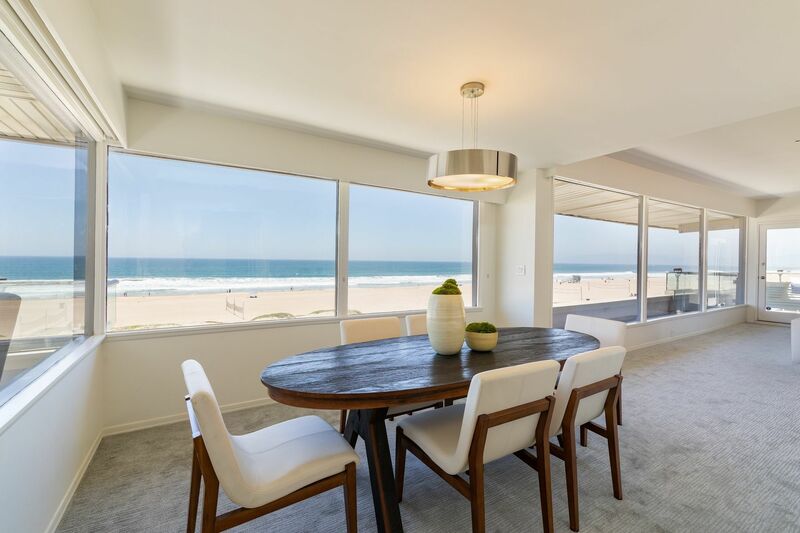 Panoramic views of sky, sand, and the Pacific roll out directly in front of and off to both sides of the property. Catalina Island, and the cites of Santa Monica, Palos Verdes, and Malibu are visible to the naked eye. 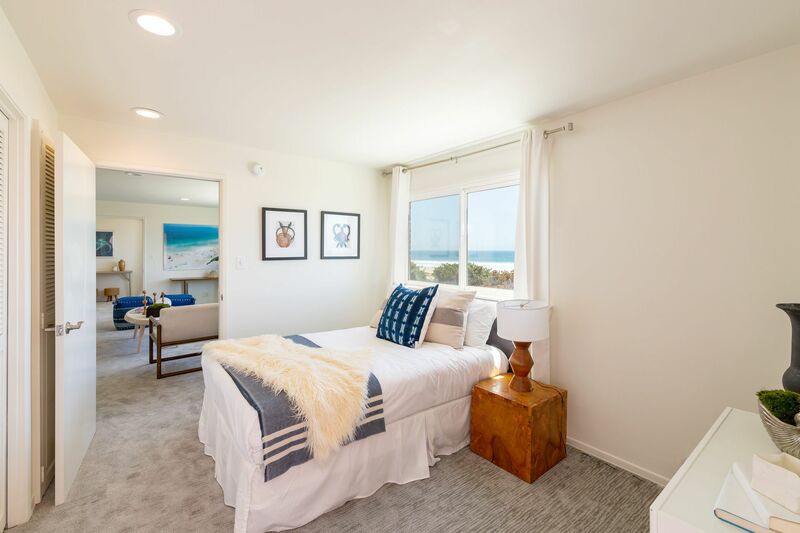 Nothing stands (or ever will stand) between this property and the surf, which is merely 450-feet away at low-tide. 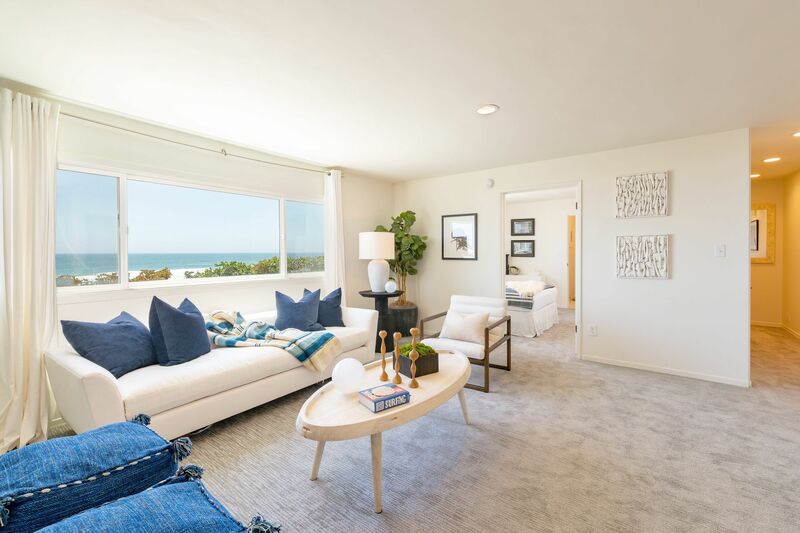 The immediate area has seen a steady stream of ground-up single-family and condominium construction, as well as a fair amount of extensive renovation to existing architecture. 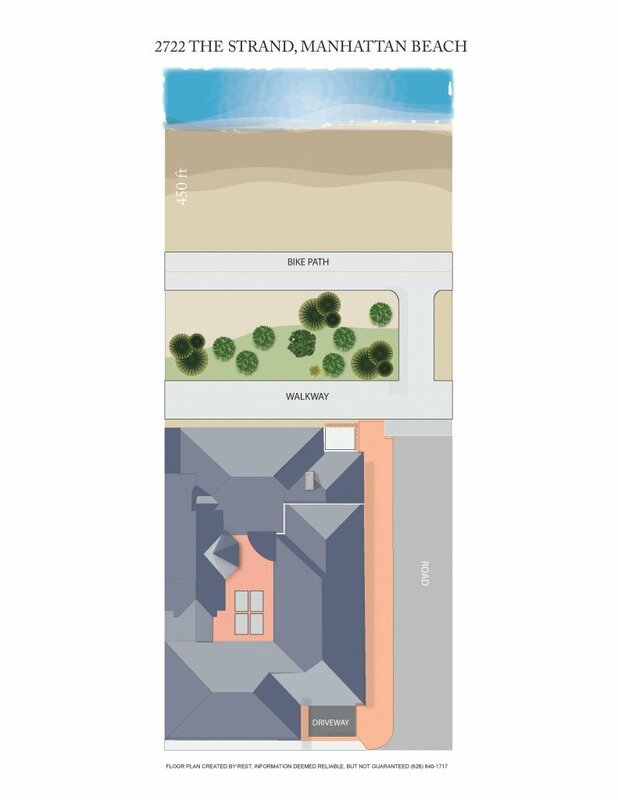 According to preliminary research at the City level, this 2722 The Strand’s lot could be developed into a single home of over 11,000 square-feet. 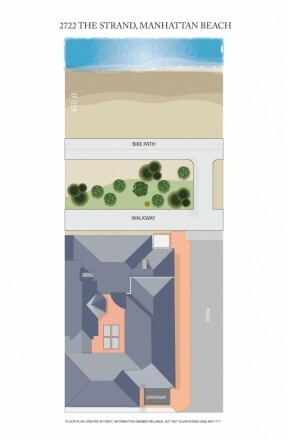 Because of its almost one-of-kind provenance as a double lot, it could be divided into two lots and two new single-family homes could be developed. 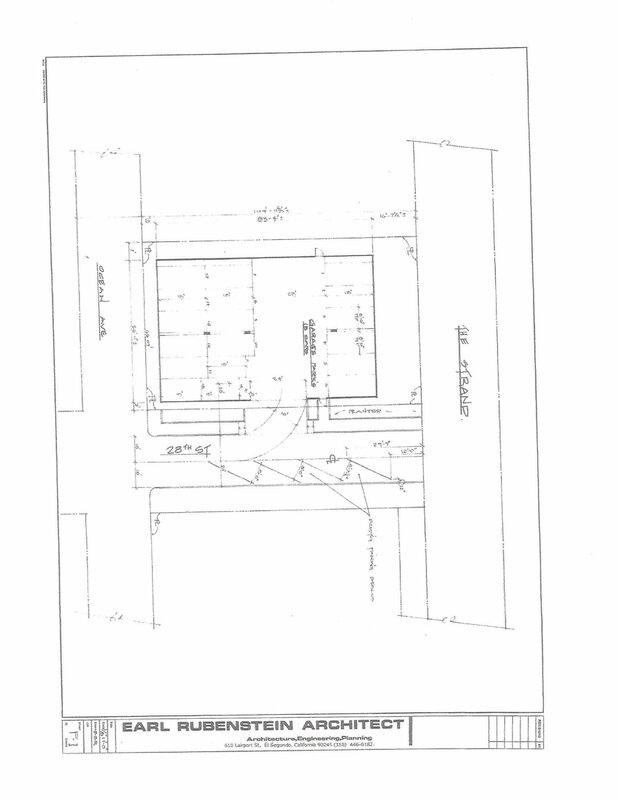 There is also the possibility of building a two to three-unit condominium building on the site. Research also indicates the possibility of subterranean parking for up to 18 cars. 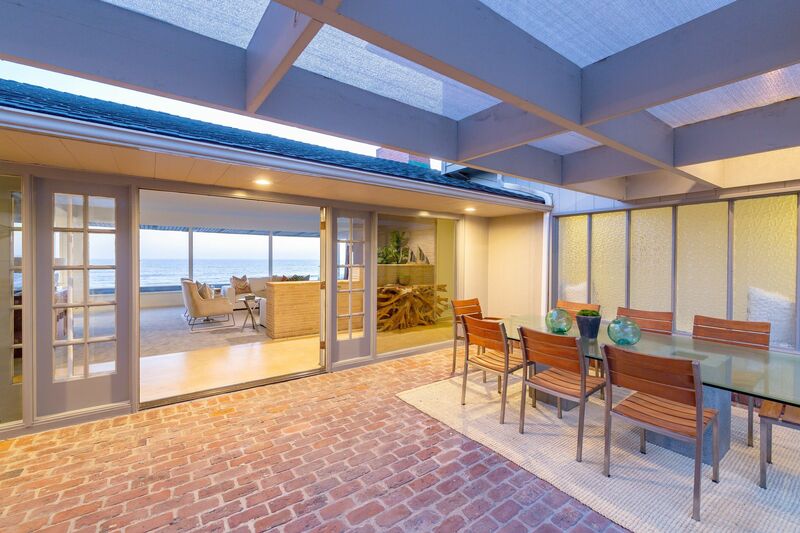 A one-and-a-half lot fixer home sold earlier this summer on The Strand for $21,000,000 (remember, 2722 is a DOUBLE lot). 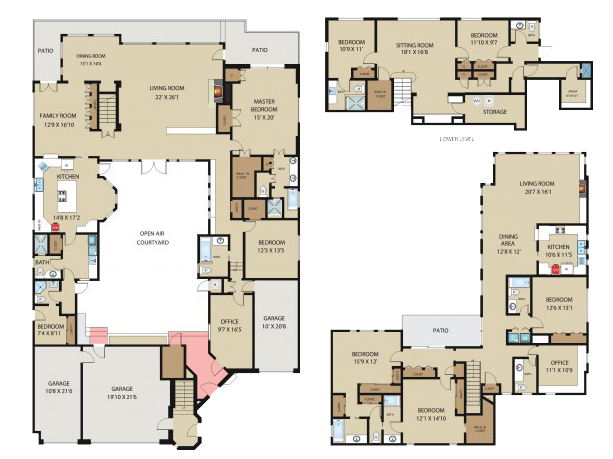 As it currently sits, the 6,025 square-foot residence at 2722 The Strand is and eight-bedroom, nine-bathroom structure on three levels (see FLOOR & SITE PLANS tab for exposition). 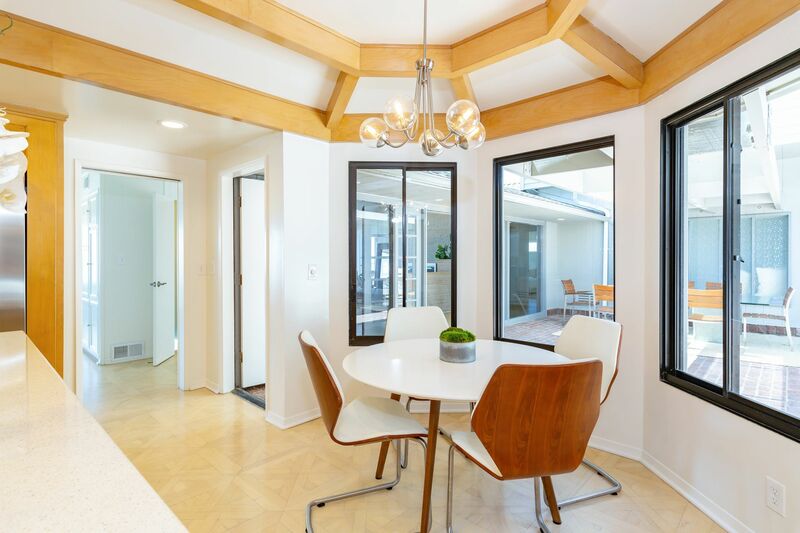 It’s a versatile mid-century structure that has main and guest quarters, an interior courtyard, walls of glass, offices, and parking for up to 10 cars. 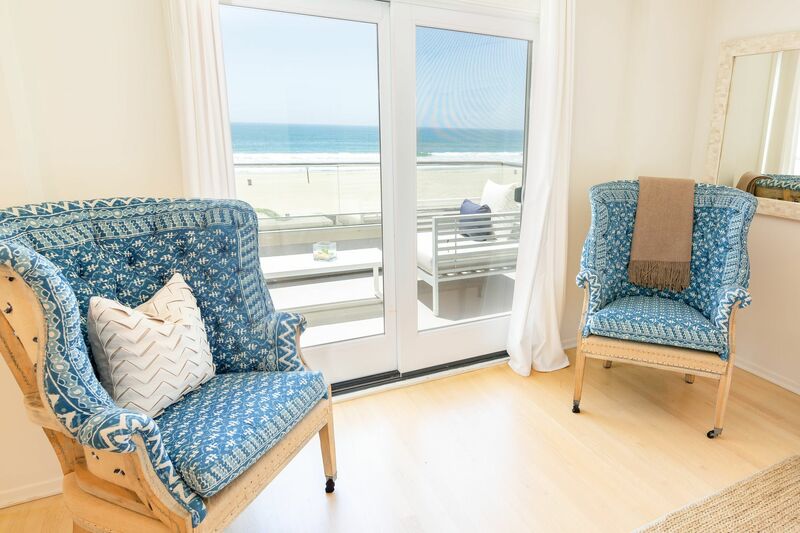 Views of the ocean abound from nearly every room, including the living and dining rooms. 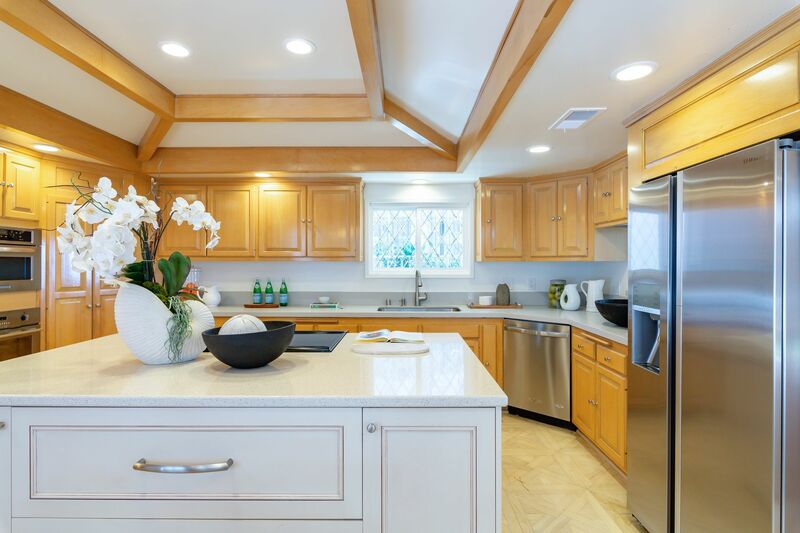 The home has two kitchens (plus one kitchenette); one with newer stainless-steel appliances, Caesarstone and granite counter tops. 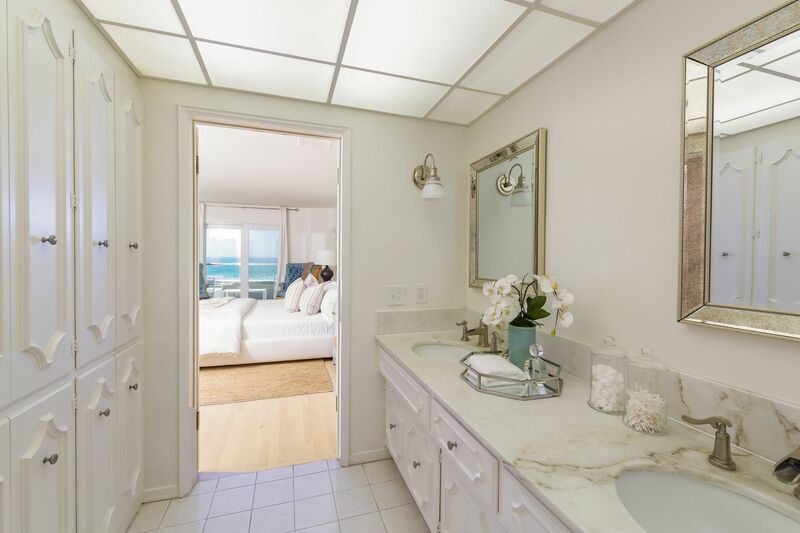 The home’s master suite has a private balcony with ocean views. 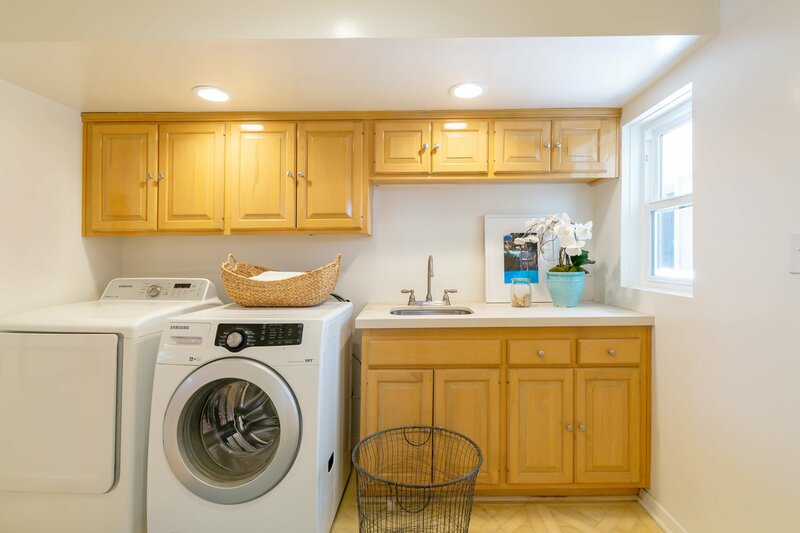 The house has two offices and a large laundry room. 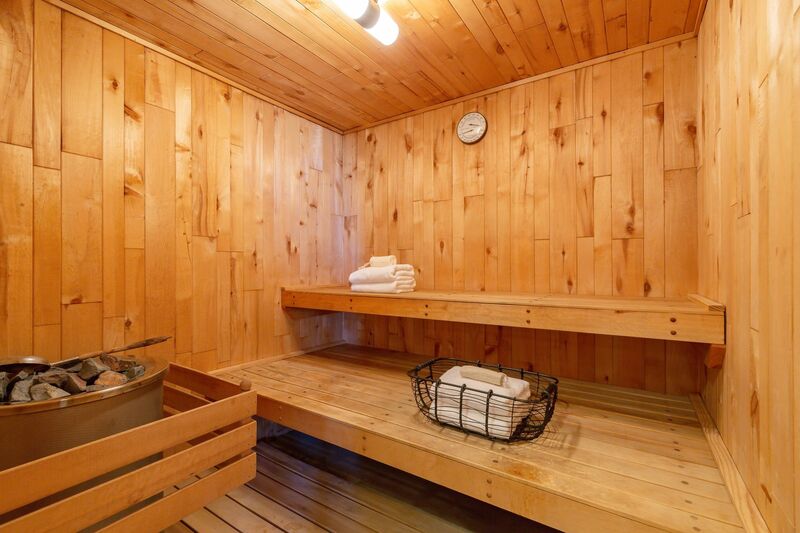 The home is currently rented at a peak-season price of $18,000 per month (off-season at $15,000 per month). 2722 The Strand is located in the Manhattan Beach School District (www.greatschools.org),(www.walkscore.com) which consistently ranks (“10 of 10”) as one of the top in Southern California. Over 60 restaurants, bars, coffee shops are within one mile of the property (see NEIGHBORHOOD tab for elaboration). 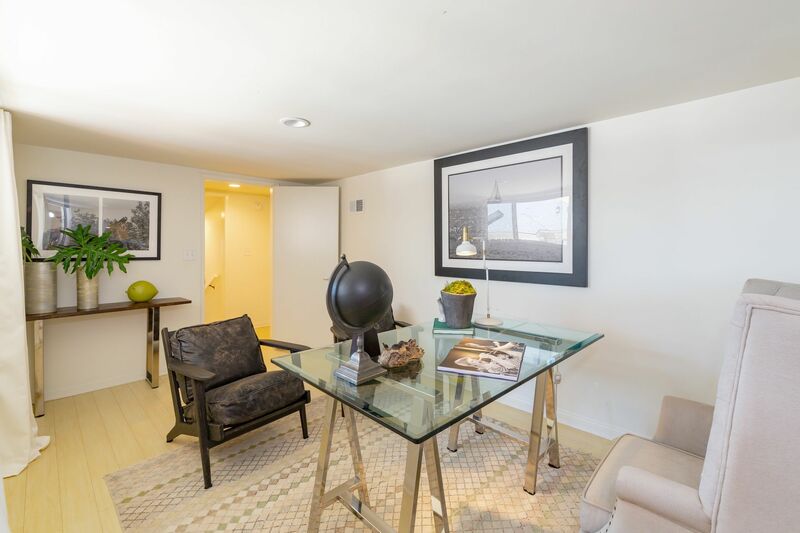 It is minutes from 2722 The Strand to LAX, Silicon Beach, and multiple commuter transit lines. 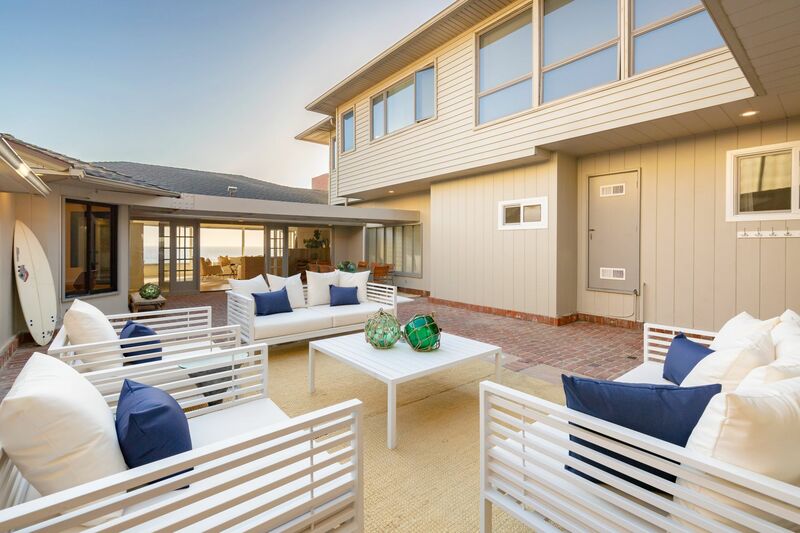 Get ready to corner the market on this unprecedented real estate opportunity. If it's raining, you'll be singing in the rain. 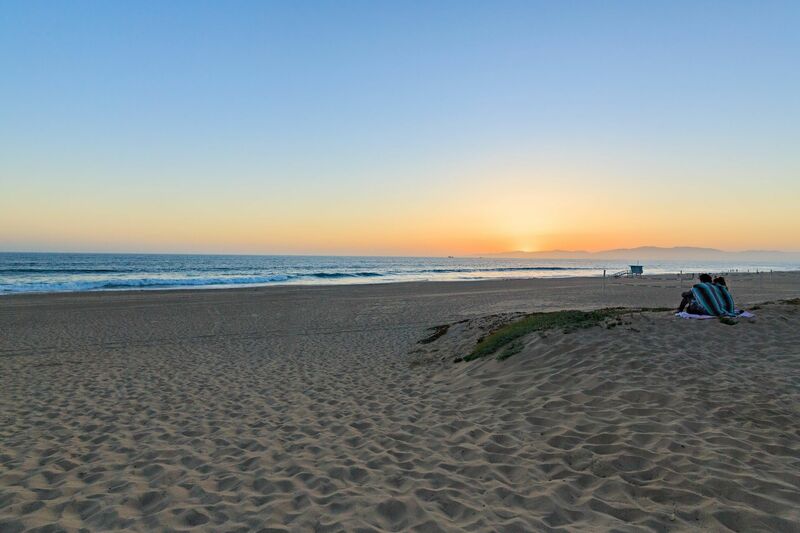 The Sand Section of Manhattan Beach is the crown jewel of the South Bay. 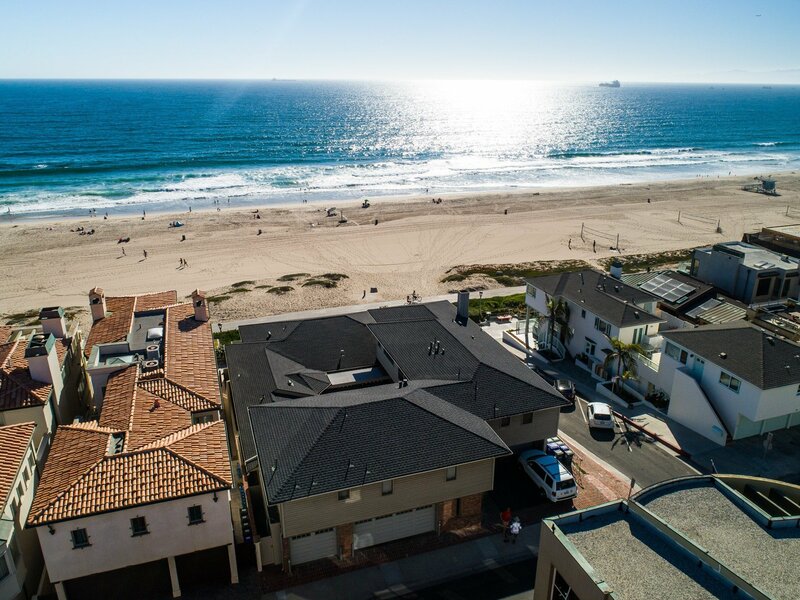 Manhattan Beach is one of three beach cities in the South Bay and is arguably the prettiest, shiniest and most charismatic of the bunch. 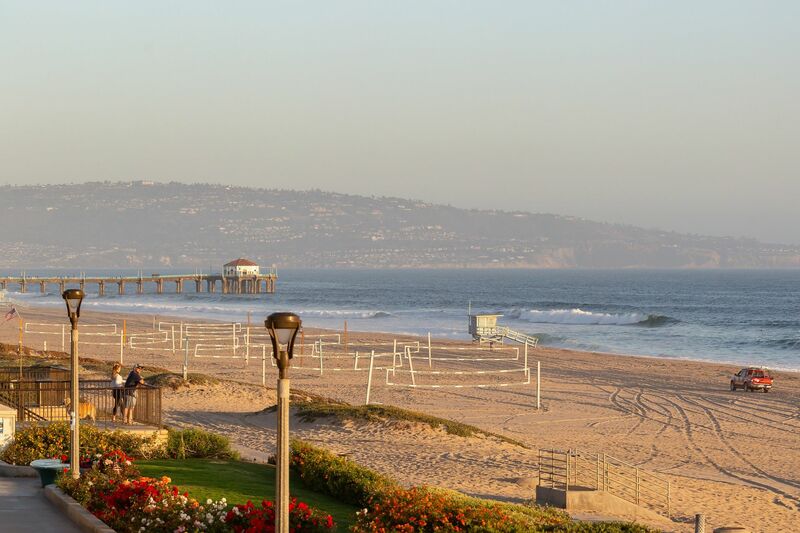 In fact, Manhattan Beach has been nicknamed the “Pearl of the South Bay” for its beauty and desirability. The city is broken up into several neighborhoods, has a population of over 35,000 people and spreads over an area of 3.88 square miles. 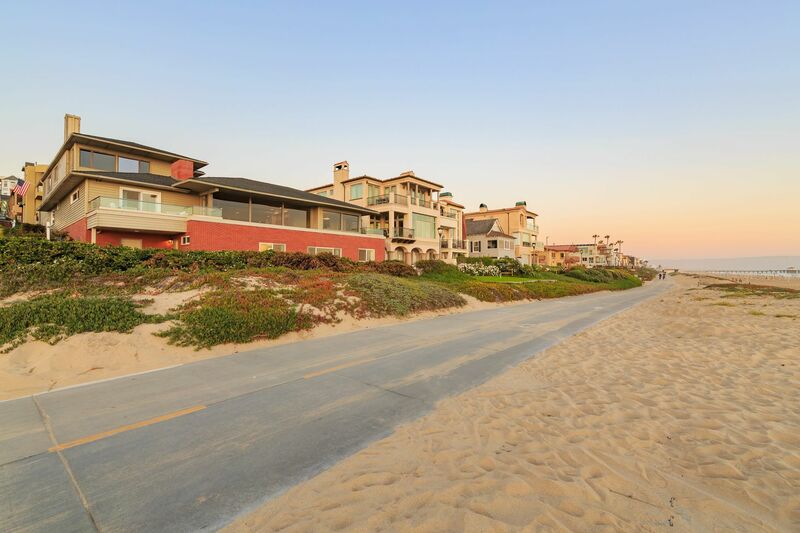 Parking in these parts might be scarce, but the incredible views and beach access more than make up for it. 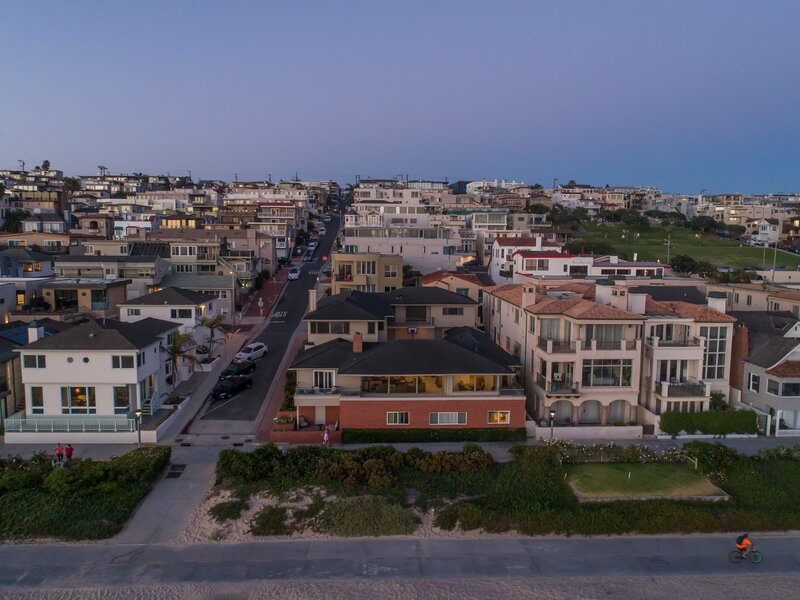 The Sand Section is probably the most well-known neighborhood, because it includes sections of El Porto, Downtown, The Strand, Gas Lamp Area, West of Highland, and South End Walk Streets. 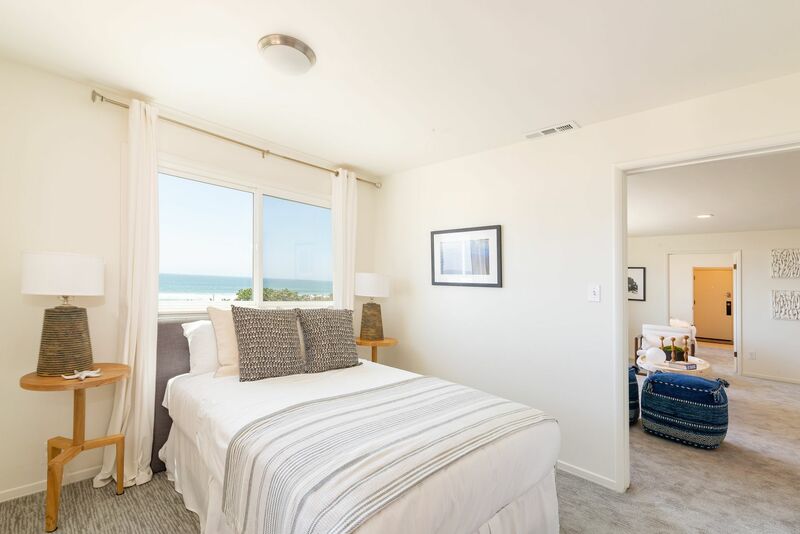 So basically, if you’re heading into Manhattan for some beach time, surfing, shopping, or hitting The Strand, you’ll find yourself in the Sand Section. 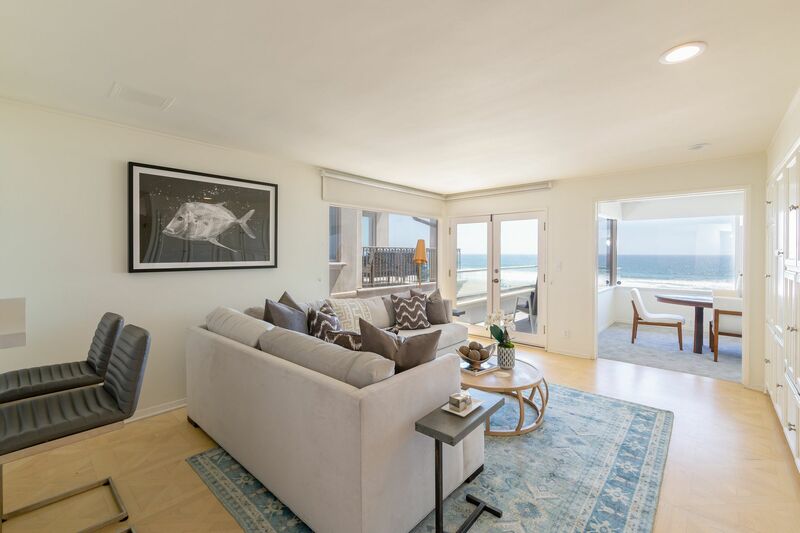 This area extends the full 2-mile length (north/south) of Manhattan Beach, with multi-million dollar beach-adjacent homes and nearby homes partway inland. Sand Section residents send their young kiddos to one of two schools. Elementary school students living north of Manhattan Beach Boulevard attend Grand View Elementary. 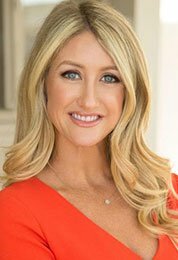 Those living south of Manhattan Beach Boulevard attend Robinson Elementary. 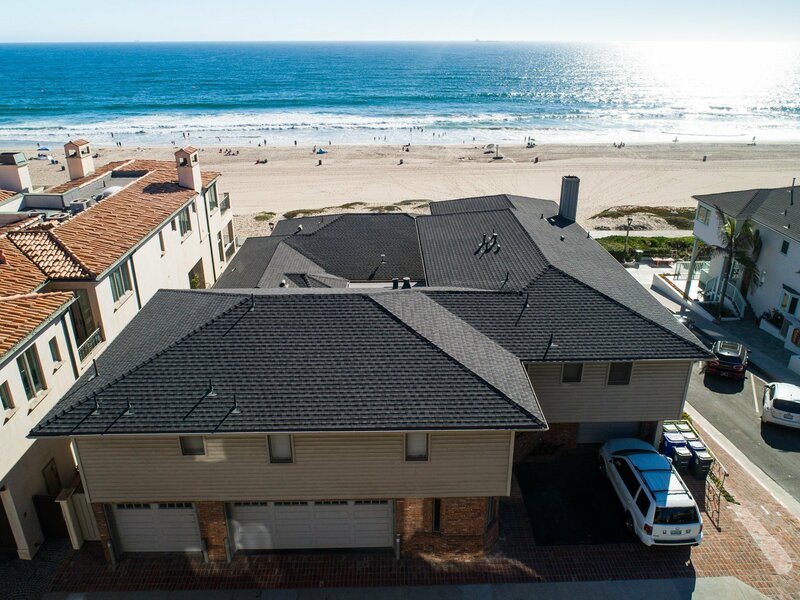 There is one middle school (Manhattan Beach Middle) and one high school (Mira Costa High) for Manhattan Beach kids. 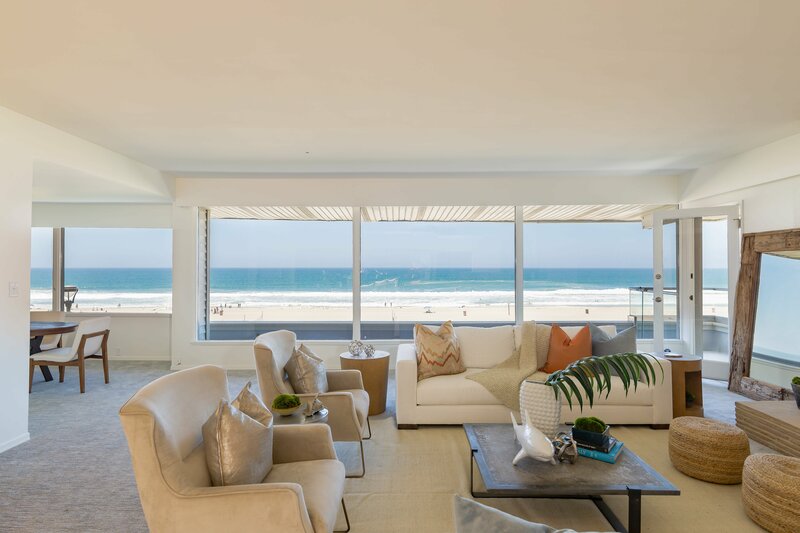 Most of the homes in the Sand Section are nothing short of magnificent. 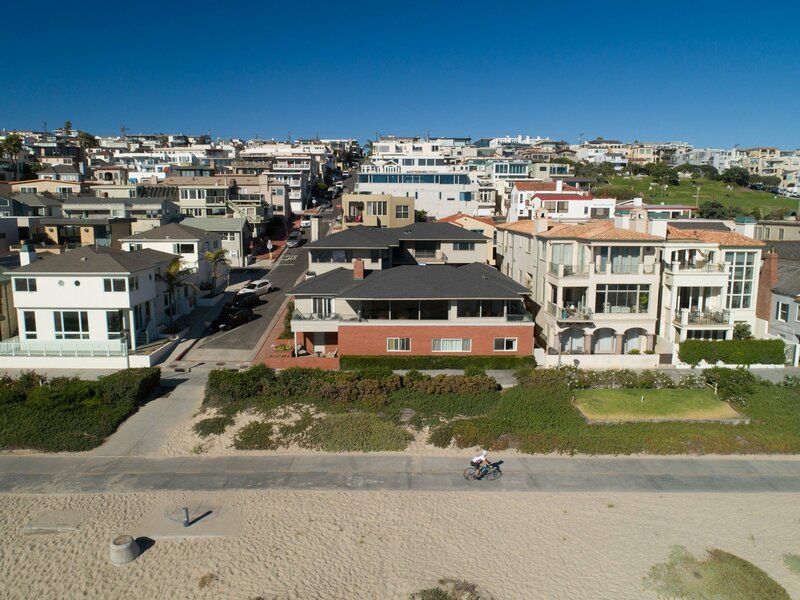 Beach-front property is the most expensive real estate in this area and can be found on The Strand. 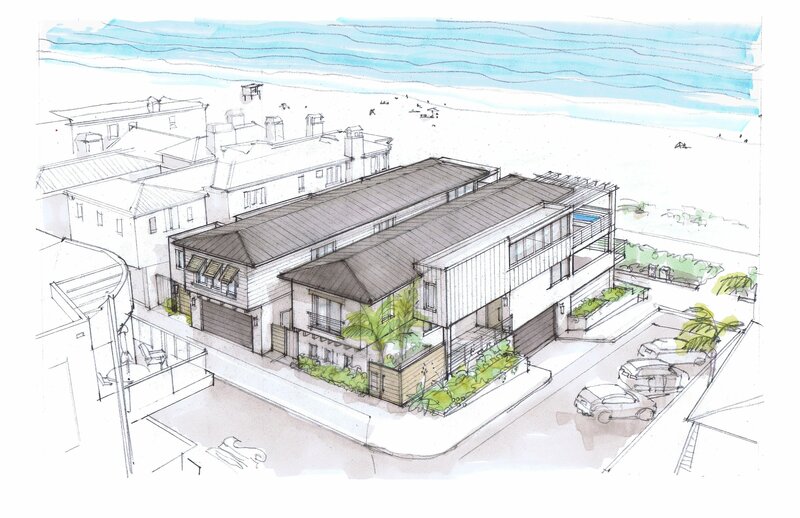 Earlier this summer, a residence in "fixer" condition on a lot-and-a-half on The Strand sold for $21,000,000. 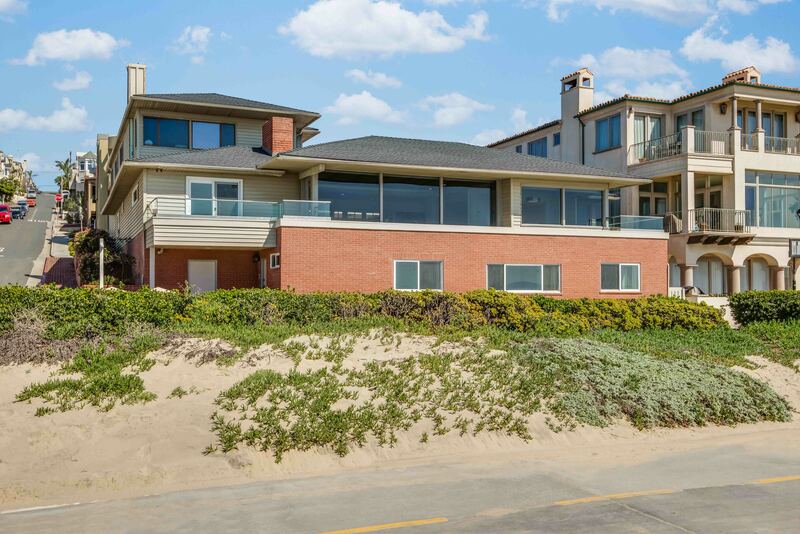 Jerry Maguire: In the movie, Dorothy’s (Renée Zellweger) house is in the Sand Section on 23rd Street. Point Break: Keanu Reeves buys his surfboard from a shop located on the Manhattan Beach pier. 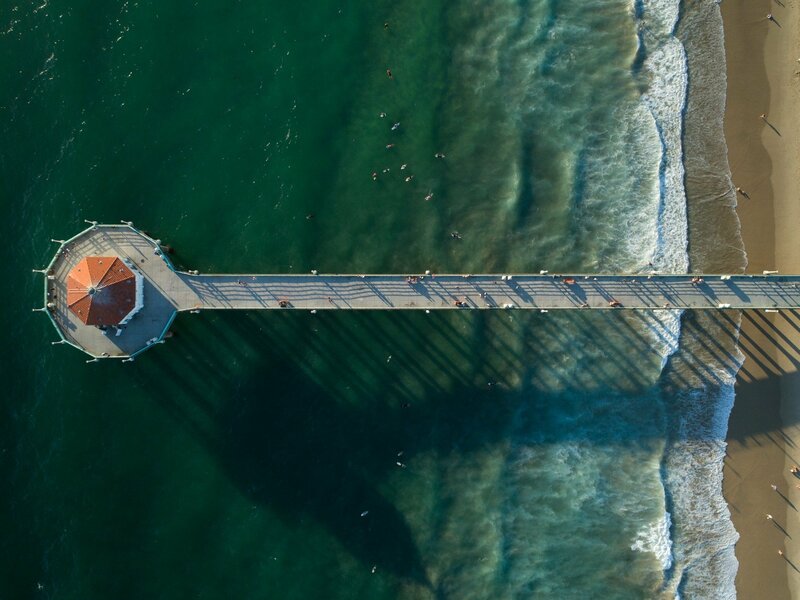 Starsky and Hutch: Starsky (Ben Stiller) can be seen stretching under the pier. There's never a dull moment in MB. 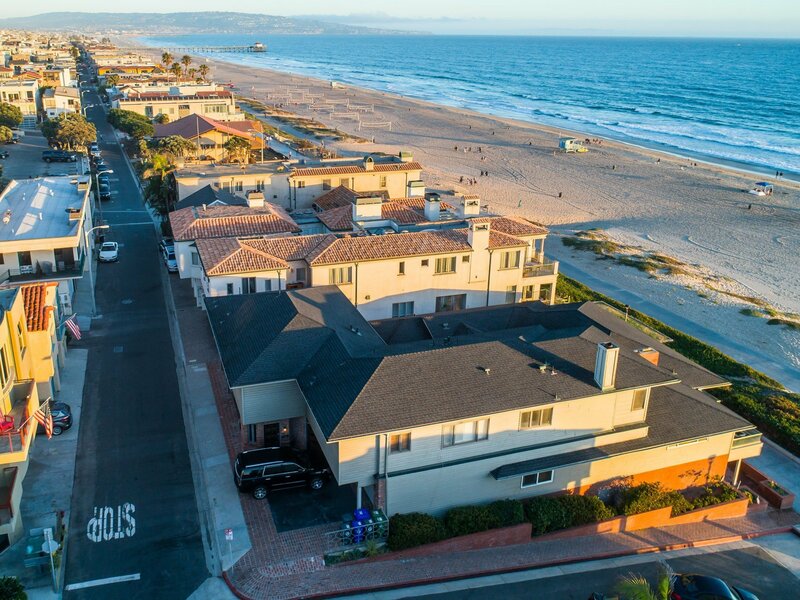 Hit The Strand for a run or take a walk and marvel at the ocean on one side of you, and the gorgeous houses on the other. 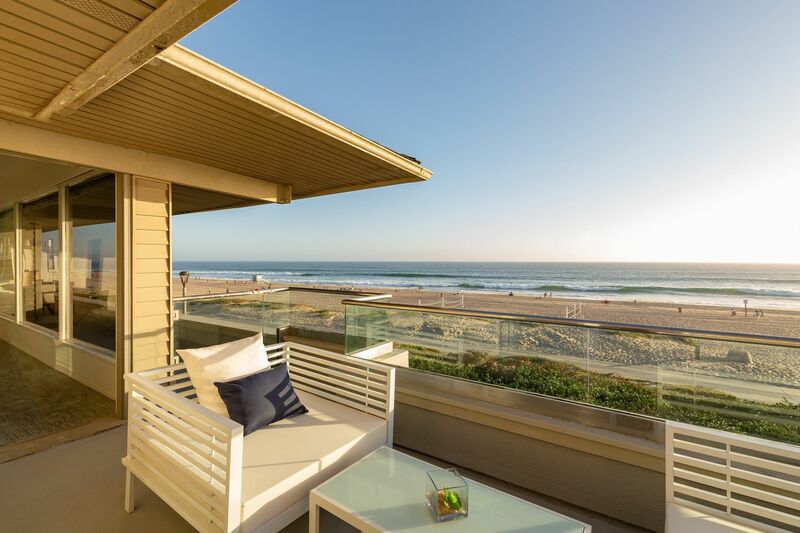 You could also take to the beach for volleyball, or head into the water to swim or surf. 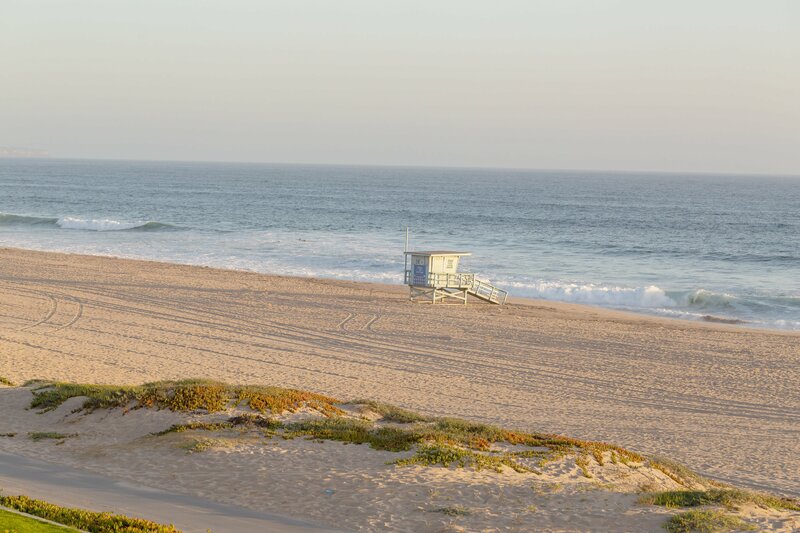 The waves at El Porto are bigger than they typically are in the other beach cities, so this is the spot to try. If you go inland a few blocks, you can count on great food, great shopping, and great people-watching. 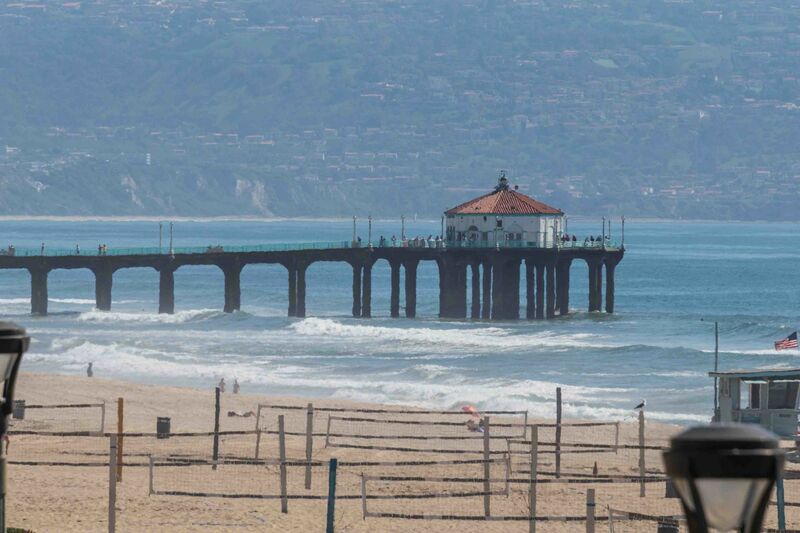 The annual Manhattan Beach Sand Section events are also worth marking in your calendar. Each New Year kicks off with the annual Rose Parade through downtown Manhattan. At the beginning of August (this year on 8/4 & 8/5), you get the glory of the Charlie Saikley 6-Man Beach Volleyball Tournament. Professional volleyball players compete alongside amateurs in this laid-back, enormous beach party. The teams even dress up in group costumes. This tournament draws over 50,000 spectators each year and it’s certainly worth checking out. And in August, the volleyball pros take center-stage in the annual AVP Manhattan Beach Open. If you're in Manhattan Beach, then you’ve hit the culinary jackpot! 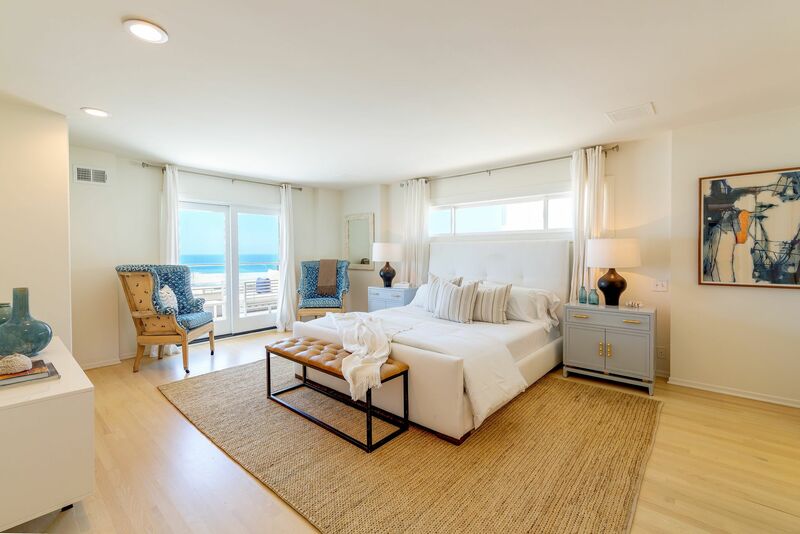 Downtown Manhattan Beach has multiple highly-acclaimed and trophy-winning Chefs. 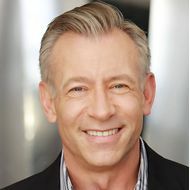 Darren’s, Fishing w/Dynamite, Little Sister, Love & Salt, MB Post, The Strand House (best ocean view) and newcomer The Arthur J’s are home to world-renowned chefs that will make your taste buds flutter. For one of the best steaks in town and amazing comfort food try local favorite Fonzs. Looking for something more casual? 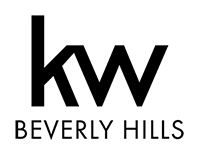 Try longtime family favorite El Sombrero or Mama D’s, Manhattan Pizzeria, Old Venice, Pitfire Pizza, Simmzy’s. Weekend brunch can be found at the following restaurants: Rock'n'Fish, Darren’s, Little Sister, Love & Salt, MB Post, Nick’s MB, Rockefeller, The Strand House, and Zinc at Shade Hotel. Make sure you try the bacon-cheddar biscuit at MB Post. The tasty biscuits even have their own Facebook page! For local bars and hangouts try the legendary Ercoles or Shellback Tavern, Brewco, Hennessey’s, Shark’s Cove or the Home of the the Navy Grog at Rock'n'Fish. Sweating for a good-ole beer on tap? Head to IPAs or Craft Beers. Cocktails are never scarce in MB. Everything from daily specialty cocktails to basic but glamorous dirty martinis can be found at Darren’s, Fishing w/Dynamite, Love & Salt, Mangiamo, MB Post, The Arthur Js, The Strand House, and Zinc Lounge at Shade Hotel. So now you wanna dance?! Try Shark’s Cove every Friday night when the Scott White band brings down the house. Additionally, the Shade hotel, The Strand House, and Metlox Plaza (on Sundays during the summer months) all have live music.